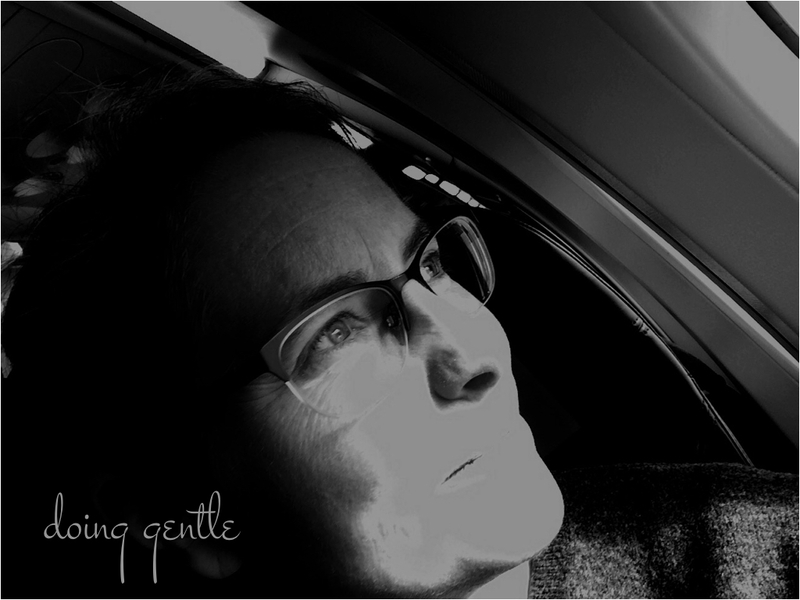 Doing gentle – 8 – Does it serve me? What would serve me right now? At first. A really strange concept. As if I could choose? I was living under the assumption that I was a victim to my circumstances, not having a choice in how to proceed. If I was angry, angry I was. Nothing to do but suffer through it, and boy, was I ever angry. And yeah, there’s a chemical aspect to that, true. If something happens and my anger is set off, a surge of signal substance is released from my neurons. However. It takes approximately 90 seconds for those to have gone through my entire system, and break down. Disappear. So, after a few minutes, the choice of remaining angry or not, is mine. I do get to have that choice. I resented that thought, at first. I wanted to hang on to my anger, and I wanted it to be automatic, so I didn’t have to take responsibility for it. It’s just there, and I can’t do anything about it. But over time, I realized that sometimes my anger didn’t serve me at all. To remain angry after the initial reaction was not serving me, perhaps even hurting me. So I got used to asking the question, of myself. How does this serve me? Sometimes I choose to stay angry. Because I really feel like being angry. And I let myself run with that feeling, surging through my body, my spirit, full out anger. The all-hands-on-deck-type of anger. Sometimes. I choose to let it go. It can simmer in the background, but it’s as if I no longer pay attention to it. I no longer feed it. And it’s not what I front with, not how I show up in the world. Once in a while, I choose to let my anger go, and have a hard time to not show up as angry anyway. Then I take full responsibility for it, and withdraw. Telling those around me that I have a hard time not to act angry, that I don’t want to, so would you please excuse me, while I cool off over here, in solitude. And yes. It works the same way whatever emotion you are currently experiencing. You do have a choice. Not whether or not to feel what you feel. That’s not at stake. Because you feel what you feel. Nothing more, nothing less. The choice is rather if you want to keep feeding that feeling, or not. And as I said, just because I choose not to, doesn’t mean it goes away immediately. But in time. It will. It dissipates. Fades away. Might take a minute. Might take a day. Ten years, for all I know. But if you keep on feeding it, for sure it will stay longer than if you don’t. So next time you experience a rush of feelings, ask yourself the question: How does this serve me? Welcome to my new website, where the underlying tone centers around being gentle to oneself. On Sundays I will be sharing thoughts on how I do gentle, and this is the eight of those. I hope you enjoy it and if you do, please subscribe to updates so you won’t miss out on future posts in this series.